Like one of those supergroups that forms from time to time in the music world and bashes out a few great tunes before returning to their individual awesomeness, the crews from Modus Operandi, Fixation and the Wheaty Brewing Corps have brought the band back together for the Yeast Coast IPA. It’s a beer that’s been made before, starting out at a past Good Beer Wheaty in Adelaide and to which Chris White, from American yeast propagator White Labs, also added some crucial expertise. It was crucial because the beer is an East Coast IPA, that murky, fruity and remarkably polarising style that has given birth to the Haze Craze. 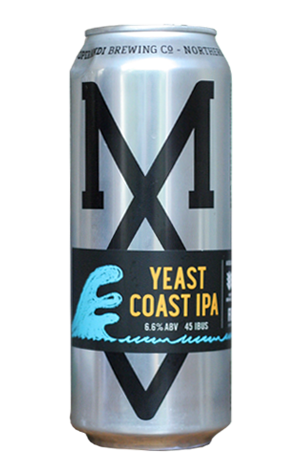 Not content to keep things static, the 2017 version of Yeast Coast was made in two versions in two places, one at its spiritual home of The Wheaty and the other was this one from Modus’ brewery in Mona Vale, where it was also canned for the first time. Its creation required the use of oats, torrified wheat and four punchy US hop varieties – Amarillo, Citra, El Dorado and Simcoe – to form a beer that’s both turbid and tasty, centring around the fresh and fruity characters of the hops but without any openly aggressive bitterness. In the way it drinks, you feel it’s got more in common with a glass of juice derived from fresh citrus fruit than it does with a beer. With Modus being a multi award winning IPA producer and Fixation and the Wheaty crew having collected two of the champion brewer trophies at this year's Craft Beer Awards, Yeast Coast is the just the kind of beer you'd expect from a dream team – and one of the cloudiest NEIPAs we've seen in Australia to date.